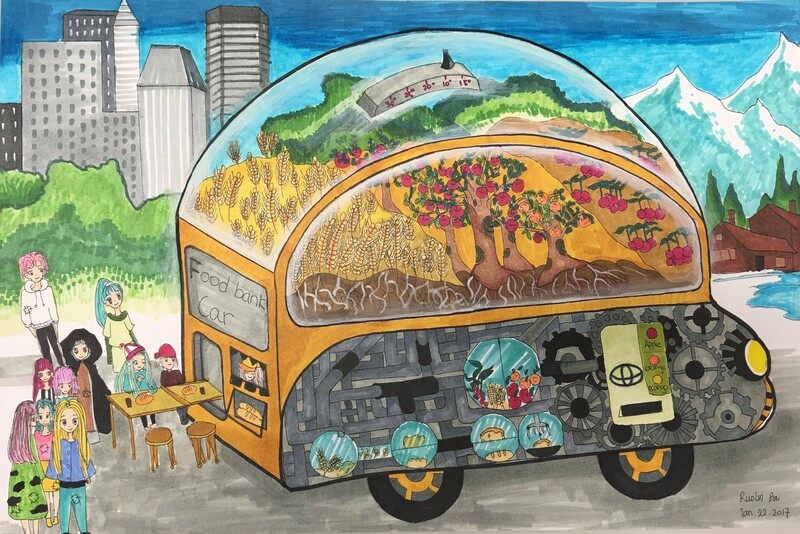 This year’s collection of amazing artwork has once again, demonstrated how Canada’s young people have visions of a future with mobility as a catalyst to improve the lives of individuals and society in environmental, educational or humanitarian terms. “I am inspired by our children’s creativity, artistic talent, and remarkable ability to envision such exciting, innovative and profound ideas for the future of our industry,” said Larry Hutchinson, President and CEO of Toyota Canada Inc.
Those sentiments were also echoed by the Durrells. All nine winners will receive a 3D printing pen. And each will represent Canada in Toyota’s global competition, where the top 30 entries from around the world will be invited to participate in an awards ceremony to be held in Japan in August. Over the past four years, five Canadian entries have been chosen as global finalists, including two who won bronze medals last year. To put that achievement in context, more than 855,000 entries from over 80 countries and regions around the world were received in 2016.